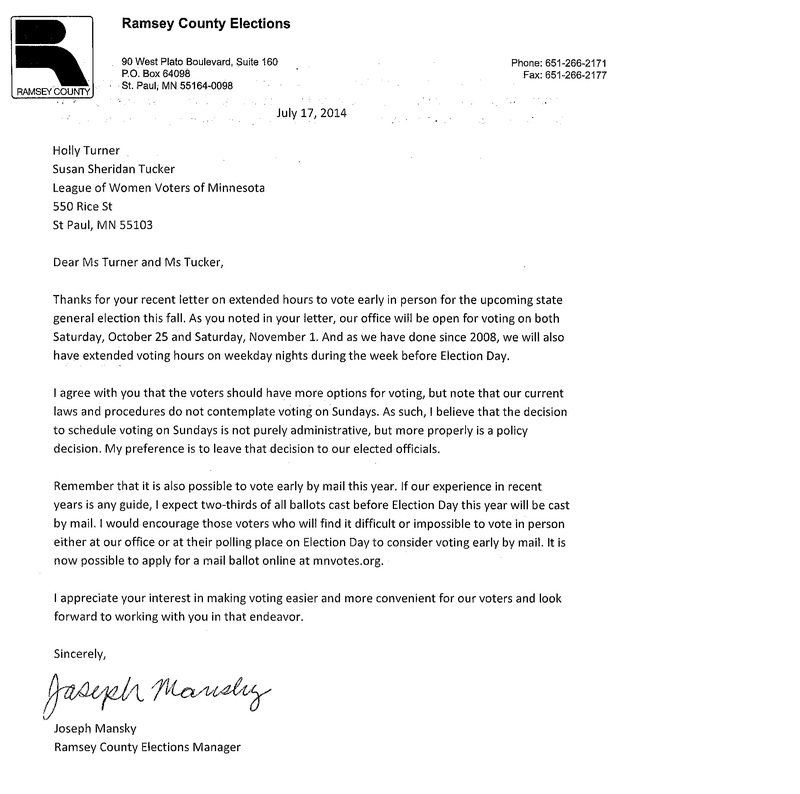 We previously posted a letter submitted to Joseph Mansky, Ramsey County Elections Manager, requesting extending the hours for early voting. See Mr. Mansky's response to our letter below. 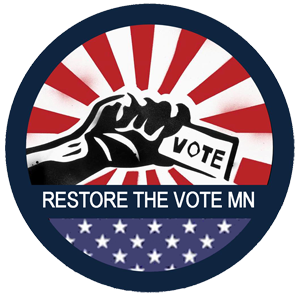 LWVSP is hiring a Candidate Forum Coordinator!